***This property is contingent on appraisal and inspections. 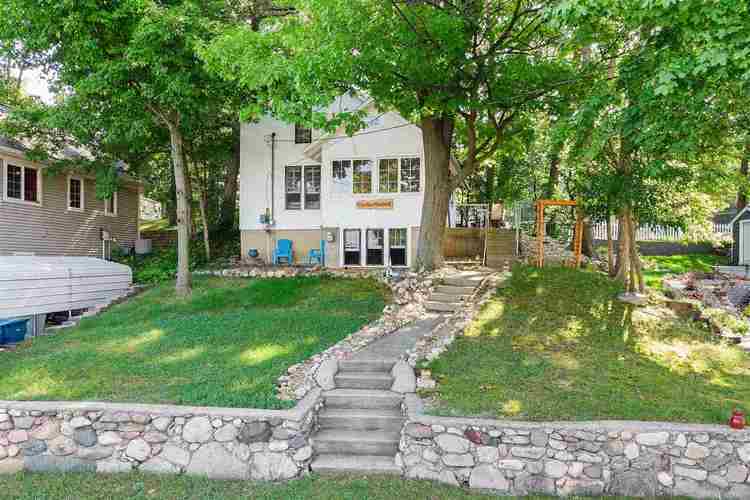 Back up offers welcome*** Presenting the "Cedarhurst Cottage" on beautiful Lake George! Well-maintained lake home with gorgeous sunset views. Enjoy those views from the sun room or down by the water near your private boathouse. Property has 25' lakefront with deeded access. Plenty of parking for your guests as well as a 2 car detached garage. Once inside you will find a charming kitchen and large living room featuring a wood burning fireplace with newer insert for those chilly nights. Abundance of storage in the dry basement. Lake George is an approximately 500 acre all sports lake with ski hours from 10:00-6:30 daily and excellent fishing. Directions:North on Old Hwy 27 just north of Marina on left.